I thought it might be interesting to look into the pros and cons of Helicopter Money. 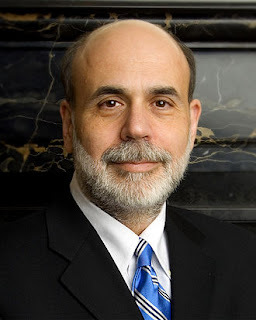 After all, Ben Bernanke earned the title, "Helicopter Ben", for discussing the concept back in 2003. I have criticized the Fed, and Bernanke himself, severely both here, and here, but with regard to Helicopter Money, I don't think that a true understanding would cause most to have a strong concern. I think Bernanke has been misunderstood about this important issue. But there are pros and cons to the process, so they are discussed here. Helicopter money is generally thought by the uninformed as Fed base money deposited directly into the bank accounts of ordinary citizens, or all citizens. It will not work that way, although theoretically it could. It is more likely that tax cuts would be implemented and/or infrastructure could be targeted for repair. Helicopter money seems to be a fair way to bail out main street, since a form of Helicopter Money for banks, called Quantitative Easing, or QE has bailed out the banks through the purchase of treasury bonds and bad paper, MBSs. But as we will see, there are good and bad benefits attached to the concept and maybe we can look at some of these pros and cons. The goal of Helicopter Money is purely economic, to boost aggregate demand, or AD. Helicopter Money is contemplated when regular monetary policy, like QE, fails to provide the boost needed to support the economy. With regard to the USA, the need for Helicopter Money as a means of stimulating the economy could be low at this time, according to Ben Bernanke. We are not in negative rate territory as is Europe and Japan. We need to watch their possible experiments with the concept to judge better the pros and cons. 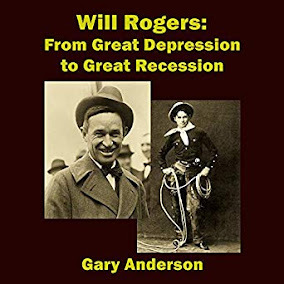 Besides, Bernanke, lots of other economists have weighed in on the concept, from Kocherlakota, to Buiter, to Lonergan to Market Monetarists David Beckworth and Scott Sumner, here and here, and many more. ...the central bank no longer has a new bond on its balance sheet. The long term fiscal consequences of this are uncertain, and may differ from doing QE. They will depend on many things – primarily on what happens to growth, where interest rates are over the medium term, and how the assets it would have purchased performed. None of this is unique to helicopter drops, nor does it render monetary policy ‘fiscal’. For me, having central banks not taking good treasury bonds out of the market is a really good thing. Demand for long bonds is already too great. Pushing rates lower toward the negative is the only benefit of making bonds even more scarce and while Draghi may want to do this, it puts monetary policy into unknown territory, far more dangerous than any Helicopter Drop. I have written about this issue, and even Investopedia says that scarcity of bonds due to supply and demand may trump the commonly accepted idea that the inverted yield curve could cause a recession. This could be part of the New Normal. 2. Adair Turner has said that in some situations, Helicopter Money may be the only way to stimulate aggregate demand. Yes, he said it could be the only way. 3. It could serve a similar function, more directly to main street, as would infrastructure spending, using base money to fund projects. In order for both to work most effectively, they must be looked upon as a monetary effort, not a fiscal effort. The fiscal benefit is fine and obvious, but the monetary effort must allow for a permanent circulation of the base money. For both to work most effectively, it would be necessary for most of the money to be deposited back to the banks, and banks could use the deposits to increase their ability to make loans. 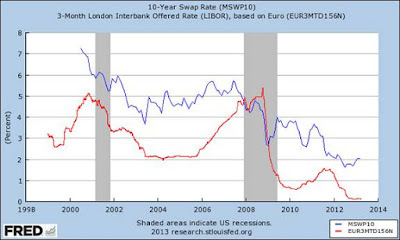 That could be inflationary, but bank lending could be tweaked controlling by reserve requirements. In my opinion, it is not necessary to control lending by banks through paying interest on reserves as is done now. If reserve requirements were tweaked, more lending could take place. Perhaps Helicopter Money would not prove to be inflationary if done correctly. And remember, it is only for bad times, for times when negative bond rates are near. They are to be avoided. 4. Helicopter Money would stop the move toward a cashless society, and a move toward negative interest rates on bonds and on retail savings accounts. Since it would result in massive tax cuts without hurting government funding, and it would not require treasury bond buying, it could force interest rates to stabilize in times of economic distress. 1. It isn't necessary. Kocherlakota says the US has the means to finance the stimulation of the economy already. 2. It must be permanent. Friedman said it would be a one off transfer of money from the Fed. It would be a permanent increase in money stock, but just a one off transfer. So, it would not be a permanent transfer of money, like on a monthly bases for all time. But it must be a permanent increase of money stock. That could turn out to be a con, if some see it as a Ponzi scheme, whereby the money finds its way back to the banks and is loaned out in a way that stokes inflation and damages the economy in the long run. 3. It will not be a real infusion into the bank accounts of citizens after all, according to Bernanke, but would rather take the form of tax cuts. So, it could be unfair, depending on how it is arranged, and not that effective. But tax cuts would be welcome and may be more palatable than other ways of doing the transfer. The good thing is that it is not taxpayer money directly funding the tax cuts.That taxpayer money will still be used to fund the government. 4. Helicopter Money may be desired by politicians as a fix every time, even though it should only be a fix during times of distress when we are in a liquidity trap. Perhaps that requirement could be written into law. Whether you are pro or con regarding Helicopter Money, you can see that the issue is an important one. If deflation takes over, and it could, this plan would be superior to a cashless society, or negative bond interest rates. I am sure most people would agree with that fact, even if they don't support the plan. If monetarism is to work, it has to start working for the people, for the society as a whole. It is ultimately up to the economists to either ignore the concept or make it work. We hope they would do so with the interest of the nation as a whole, in focus.